The resurgence of ULFA poses fresh challenges and the government would do well to pay heed to this development. 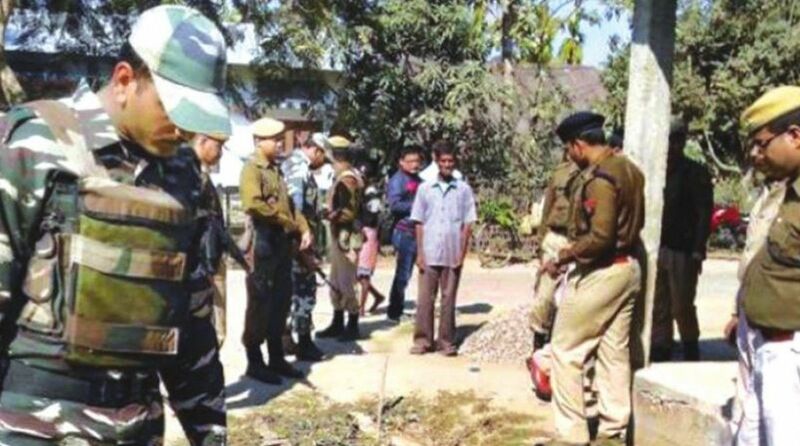 A senior Assam Police officer recently said growing public sentiment against the Centre's move to amend the Citizenship Act has given a "fresh lease of life" to the outlawed ULFA. Recently, there has been a spurt in activities of the United Liberation Front of Assam (ULFA) activities in Assam targeting Bengalis. ULFA, rechristened as ULFA (Independent) was on a killing spree in the district of Tinsukia in one of the deadliest recent offensives. Meanwhile, conflicting reports continue to trickle in if there is a fresh and ongoing recruitment drive of ULFA cadres. It’s really intriguing to see ULFA resurfacing with violence after most of its top leadership has surrendered and it is believed to be directionless. There are credible reports that its supremo Paresh Barua is on the run and suspected to be hurt in an accident in China. Then who’s leading the outfit? Where are the finances coming from and more importantly, what is the source of supply of weapons? According to available intelligence sources, Paresh Barua is sheltered in China following Bangladesh Prime Minister Sheikh Hasina’s determined action in getting rid of him and other anti-India groups from Bangladesh soil. If strongman Barua is not on the horizon, there is need to identify the forces behind the perceived revival of ULFA. By a process of elimination, it can safely be assumed that Pakistan’s Inter-Services Intelligence (ISI) has possibly stepped in to exploit the existing vacuum and to take advantage of the issues dear to ULFA like the NRC etc . And, ISI’s nexus with ULFA is not new. Let’s travel back in history a bit to see things in perspective. Way back in 1990, courtesy the Pakistan High Commission in Dhaka, ULFA developed contacts with the ISI. In a dramatic development in January 1991, several high ranking ULFA leaders traveled to Pakistan to sign a training agreement for ULFA cadres. In the same year, two six-member ULFA groups arrived in Islamabad for training. Subsequently, a third batch comprising a 10-member group underwent training in subversion, anti-India indoctrination, handling of arms and other aspects of tradecraft, equipping ULFA with teeth to cause violence in Assam and make its presence felt. Also, Dhaka continued to be the favourite hub for shelter, logistical support, providing fake passports and transit facilities for ULFA cadres travelling to Pakistan. Importantly, ISI’s auxiliary support for ULFA operations comprised more than just training courses in Pakistan. New assumed identities and fake passports had to be procured well in advance, travel routes determined and financing of the whole operation had to be secured. The Pakistani diplomatic mission in Dhaka, with the tacit support of forces hostile to India, commenced launching covert operations in the North-east with appropriation of ULFA. Meanwhile, ISI developed alliance with Chinese agencies as well particularly for arms’ supply to ULFA cadres. The first set of weapons arrived by a Chinese ship in 1995 and again in 1997 by a land route through Bhutan. In April 2000, Assam Chief Minister Prafulla Kumar Mahanta submitted a 16-page report highlighting ULFA activities in Assam. It, inter alia, included ULFA promoting indiscriminate communal violence, creating new fragmented militant outfits, supplying explosives and sophisticated arms to different terror groups, sabotaging oil exploration units and other critical infrastructure. All these inputs are aptly chronicled in Hein G. Kiesling’s book on the ISI. This bit of history suggests today’s activities could be a repeat – a part of the China-Pakistan agenda to destabilise the North-east. It has to be taken seriously. We need to take into account the recent disclosure by Assam Police that 11 activists from Tinsukia and adjoining districts have joined the outfit since September 1 this year. According to sources close to Assam Police intelligence wing, as of today there are around 200 active ULFA cadres. This is no mean number. Also, there is an offensive social media campaign currently on projecting the ULFA, to elicit sympathy for their so-called cause. In the pages of social media, ULFA cadres are seen posing with sophisticated rifles attired in military fatigues at a location in the jungles of Myanmar. As per Pallab Bhattacharya, Special DG Assam, recently 85 people were identified as making pro-U LFA (I) statements. These are the indicators that while ULFA may have lost some of its muscle, it is still alive and kicking and possibly trying to stage a comeback at a time when the country is fighting Khalistani and other disruptive forces being used by ISI to fish in troubled waters. The writer, a former IPS officer, is a security analyst who comments on current security-related developments. The views are personal.